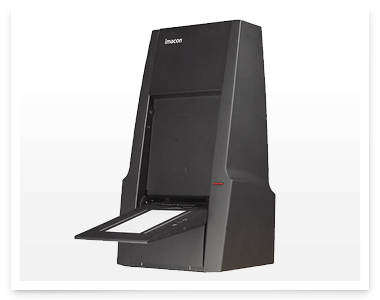 Make a huge scan with our industry standard Imacon 949. Our Imacon 949 virtual drum scanner truly makes the most of your film. Most major formats are supported together with optimised colour dynamics applied to specific film types i.e Kodak Portra 160 NC will have a different profile to its VC counterpart. Digitising your frames this way will help you appreciate how good your ‘old’ film camera really is, yes film remains relevant in today’s fast paced digital environment. To simplify our Imacon scanning services, we will always produce the highest PPI (pixels per inch) scan possible from any given frame size. This guarantees you the best quality and highest resolution available for your film. The price of Imacon scans are on a ‘per frame’ basis. Scans are supplied with no removal of dust or scratches. Your file will be provided as an uncompressed tif on CD/DVD.